Hewlett Packard - 459484-B21 459484-B21 HP Proliant Bl460c G1 1p Intel Xeon E5440 Qc 2.83GHz 2GB RAM SAS SATA HS 2 X Gigabit Ethernet ILO Blade Server. New Retail Factory Sealed With Full Manufacturer Warranty. Hewlett Packard - 432636-B21 432636-B21 HP Proliant Bl460c 2g 1p Intel Xeon 5148 DC 2.33GHz 2GB RAM SAS SATA HS 2 X Gigabit Ethernet ILO Blade Server. New Retail Factory Sealed With Full Manufacturer Warranty. Hewlett Packard - 641016-B21 641016-B21 HP Proliant Bl460c G8 CTO Chassis With No CPU No RAM Matrox G200 Gigabit Ethernet 10 Gigabit Ethernet 2 Way Blade Server. New Bulk Pack. Hewlett Packard - 507783-B21 507783-B21 HP Proliant BL460C G6 1x Intel Xeon E5506 2.13GHZ 6GB Ram DDR3 SDRAM SAS SATA 2x 10 Gigabit Ethernet Blade Server. New Retail Factory Sealed With Full Manufacturer Warranty. Hewlett Packard - 507782-B21 507782-B21 HP Proliant BL460C G6 1X Intel Xeon Quad-Core E5520 2.26GHz 6GB RAM 2X10 Gigabit Ethernet Blade Server. New Retail Factory Sealed With Full Manufacturer Warranty. Hewlett Packard - 507784-B21 507784-B21 HP Proliant BL460C G6 1x Intel Xeon E5502 1.86GHZ 6GB Ram SAS SATA 2x10gigabit Ethernet Blade Server. New Retail Factory Sealed With Full Manufacturer Warranty. Hewlett Packard - 507781-B21 507781-B21 HP Proliant BL460C G6 1x Intel Xeon L5520 2.26GHz 6GB Ram SAS SATA 2x10gigabit Ethernet Blade Server. New Retail Factory Sealed With Full Manufacturer Warranty. Hewlett Packard - 453608-B21 453608-B21 HP Proliant BL460C G1 1P Intel Xeon L5335 Qc 2.0GHz 2GB RAM SAS SATA Hot Swap 2 X Gigabit Ethernet ILO Blade Server. New Retail Factory Sealed With Full Manufacturer Warranty. Hewlett Packard - 462873-B21 462873-B21 HP Proliant Bl460c G6 1 X Intel Xeon L5410 Qc 2.33GHz 2GB RAM SAS SATA HS 2 X Gigabit Ethernet ILO Blade Server. New Retail Factory Sealed With Full Manufacturer Warranty. Hewlett Packard - 532019-B21 532019-B21 HP Proliant S Buy BL460C G6 2x Intel Xeon Qc E5540 2.53GHz 8GB Ram SAS SATA 2x10gigabit Ethernet Blade Server. New Retail Factory Sealed With Full Manufacturer Warranty. Hewlett Packard - 581774-001 581774-001 HP Proliant BL460C G6 1 X Intel Xeon Quad Core E5520 2.26GHZ 6GB Ram 0GB HDD 2 X 10 Gigabit Ethernet Blade Server. New Retail Factory Sealed With Full Manufacturer Warranty. Hewlett Packard - 666159-B21 666159-B21 HP Proliant Bl460c G8 Blade Server 1 X Intel Xeon E5 2650 2GHz. New Bulk Pack. Hewlett Packard - 666158-B21 666158-B21 HP Proliant Bl460c G8 2x Intel Xeon 8 Core E5 2660 2.2GHz RAM 64GB Matrox G200 2x10 Gigabit Ethernet 2 Way Blade Server. New Bulk Pack. Hewlett Packard - 666162-B21 666162-B21 HP Proliant Bl460c G8 Blade Server 1 X Intel Xeon E5-2609 2.4GHz. New Bulk Pack. Hewlett Packard - 603718-B21 603718-B21 HP Proliant Bl460c G7 Processor None 0gb RAM SAS SATA Raid 0 1 2 X 10 Gigabit Ethernet 2 way Blade Server. New Bulk Pack. Hewlett Packard - 813198-B21 813198-B21 HP Proliant BL460C Gen9 No CPU No RAM HP Dynamic Smart Array B140I Smart Array CTO. New Bulk Pack. Hewlett Packard - 666161-B21 666161-B21 HP Proliant Bl460c G8 1x Intel Xeon 6-Core E5-2620 2.0GHz RAM 16GB Matrox G200 2x10 Gigabit Ethernet 2-Way Blade Server. New Bulk Pack. Hewlett Packard - 646164-001 646164-001 HP BL460cG7 0P0C NO PROC NO RAM. New Bulk Pack. Hewlett Packard - 735151-B21 735151-B21 HP Proliant Bl460c G8 Cto Chassis With No Cpu No Ram Sff Hot Plug Sas Sata Ssd Hard Drive Bays Supported 10GB Flexible Loms Blade Server. New Bulk Pack. Hewlett Packard - 603591-B21 603591-B21 HP Proliant Bl460c G7 1x Intel Xeon E5506 Qc 2.13GHz 6GB RAM SATA 300 SAS 2.0 Smart Array P410i RAID 0 1 ILO 3 2 X 10 Gigabit Ethernet Nc553i 2 Way Blade Server. New Bulk Pack. Hewlett Packard - 603256-B21 603256-B21 HP Proliant BL460C G7 1x Intel Xeon L5640 Hc 2.26GHZ 12GB Ram SAS SATA 2 X 10 Gigabit Ethernet 2 Way Blade Server. New Bulk Pack. Hewlett Packard - 727021-B21 727021-B21 HP Proliant Bl460c G9 E5-V3 Cto Chassis With No Cpu No Ram HP Smart Array B140i 2-Sff Hot-Swap Sata 6gb S Hdd Bays 10gb 20gb Flexible Loms Supported 2-Way Blade Server. New Bulk Pack. Hewlett Packard - 603251-B21 603251-B21 HP Proliant Bl460c G7 1x Intel Xeon X5670 Hc 2.93GHz 12GB Ram SAS SATA 2 X 10 Gigabit Ethernet 2 Way Blade Server. New Bulk Pack. Hewlett Packard - 603588-B21 603588-B21 HP Proliant BL460C G7 1x Intel Xeon E5620 Qc 2.4GHz 6GB Ram SAS SATA 2 X 10 Gigabit Ethernet Blade Server. New Bulk Pack. Hewlett Packard - 637391-B21 637391-B21 HP Proliant BL460C G7 1x Intel Xeon E5649 Hc 2.53GHz 6GB Ram SAS SATA 2 X 10 Gigabit Ethernet 2 Way Blade Server. New Bulk Pack. Hewlett Packard - 644568-S01 644568-S01 HP Proliant BL460C G7 1x Intel Xeon E5649 Hc 2.53GHZ 12GB Ram SAS SATA 2 X 10 Gigabit Ethernet 2 Way Blade Server. New Bulk Pack. Hewlett Packard - 637390-B21 637390-B21 HP Proliant BL460C G7 1x Intel Xeon X5675 HC 3.06GHz 12GB Ram SAS SATA 2 X 10 Gigabit Ethernet 2 Way Blade Server. New Bulk Pack. Hewlett Packard - U7AM2E U7AM2E HP Care Pack 4 Hours 24X7 Proactive Care Service With Extended Service Agreement-Parts And Labor On Site 24X7 Response Time 4H For Proliant BL460C GEN8 DL360 GEN9. New Retail Factory Sealed With Full Manufacturer Warranty. Hewlett Packard - 779806-S01 779806-S01 HP Proliant Bl460c G9 S-Buy-1x Intel Xeon 6-Core E5-2620v3 2.4GHz32GB(2x16gb) Ddr4 Sdram Smart Array H244br Without Fbwc 10gb 2-Port 536flb Adapter Blade Server. New Bulk Pack. Hewlett Packard - 724086-B21 724086-B21 HP Proliant Bl460c G8 1x Intel Xeon Hexa Core E5 2620v2 2.1GHZ 16GB DDR3 Sdram Smart Array P220i With 512MB Fbwc 2 X 10 Gigabit Ethernet 2way Blade Server. New Bulk Pack. Hewlett Packard - 727026-B21 727026-B21 HP Proliant Bl460c G9 Entry Model 1x Intel Xeon 6-Core E5-2609v3 1.9GHz 16GB(2x8gb) Ddr4 Sdram Smart Array H244br Without Fbwc 10gb 2-Port 536flb Adapter Blade Server. New Bulk Pack. Hewlett Packard - 727027-B21 727027-B21 HP Proliant Bl460c G9 Entry Model 1x Intel Xeon 6-Core E5-2620v3 2.4ghz 16gb(2x8gb) Ddr4 Sdram Smart Array H244br Without Fbwc 10gb 2-Port 536flb Adapter Blade Server. New Bulk Pack. Hewlett Packard - 813192-B21 813192-B21 HP Proliant BL460C Gen9 1x Intel Xeon 8-Core E5-2609V4 1.7GHz 20MB L3 Cache 16GB DDR4 SDRAM 2X10 Gigabit Ethernet 2-Way Blade Server. New Bulk Pack. Hewlett Packard - 724085-B21 724085-B21 HP Proliant Bl460c G8 1x Intel Xeon Octa Core E5 2640v2 2.0GHZ 32GB DDR3 Sdram Smart Array P220i With 512MB Fbwc 2x 10 Gigabit Ethernet 2way Blade Server. New Bulk Pack. Hewlett Packard - 813194-B21 813194-B21 HP Proliant Bl460c G9 1X Intel Xeon 10-Core E5-2640V4 2.4GHz 25MB L3 Cache 32GB DDR4 SDRAM 2X10 Gigabit Ethernet 2-Way Blade Server. New Retail Factory Sealed With Full Manufacturer Warranty. Hewlett Packard - 741448-S01 741448-S01 HP Proliant Bl460c G8 S Buy 2x Intel Xeon 6core E5 26202.1GHZ L3 Cache 32GB DDR3 RAM 2x 10 Gigabit Ethernet Blade Server. New Retail Factory Sealed With Full Manufacturer Warranty. Hewlett Packard - 868024-S01 868024-S01 HP Proliant BL460C Gen9 Smart Buy Model 2P Intel Xeon 10-Core E5-2640V4 2.4GHz 64GB(4X16GB) DDR4 SDRAM Smart Array H244BR 10GB 2-Port 536FLB Adapter 1u Rack Server. New Bulk Pack. 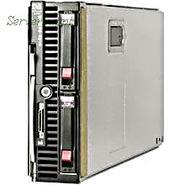 Hewlett Packard - 670658-S01 670658-S01 HP ProLiant BL460c G8 Blade Server 2 x Intel Xeon E5-2620 2GHz. New Bulk Pack. Hewlett Packard - 724088-B21 724088-B21 HP Proliant Bl460c Gen8 1x Intel Xeon E5 2650l V2 1.7GHZ 10 Core 32GB 2x 16GB DDR3 Sdram Sas Smart Array P220i 512 Fbwc 10GB 2 Port 534flb Adapter 2 Way Blade Server. New Bulk Pack. Hewlett Packard - 724083-B21 724083-B21 HP Proliant Bl460c G8 2x Xeon 10core E52660v2 2.2GHZ 64GB DDR3 Sdram Smart Array P220i With 512MB Fbwc 554flb 2 Way Blade Server. New Bulk Pack. Hewlett Packard - 813195-B21 813195-B21 HP Proliant BL460C G9- 2X Intel Xeon 12-Core E5-2650V4 2.2GHz 60MB L3 Cache 64GB DDR4 SDRAM 2X10 Gigabit Ethernet 2-Way Blade Server. New Retail Factory Sealed With Full Manufacturer Warranty. 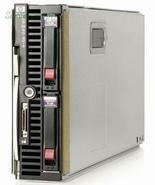 Hewlett Packard - 670656-S01 670656-S01 HP ProLiant BL460c G8 Blade Server 2 x Intel Xeon E5 2650 2GHz. New Bulk Pack. Hewlett Packard - 813197-B21 813197-B21 HP Proliant BL460C Gen9 2x Intel Xeon 14-Core E5-2680V4 2.4GHz 70MB L3 Cache 256GB DDR4 SDRAM 2X20 Gigabit Ethernet 2-Way Blade Server. New Retail Factory Sealed With Full Manufacturer Warranty.